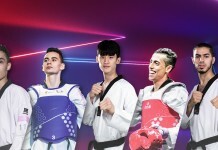 Las Vegas hosted some of the world’s top fighters in the first opportunity for athletes to collect ranking points to qualify for Para taekwondo’s Paralympic debut in Tokyo, Japan in 2020. 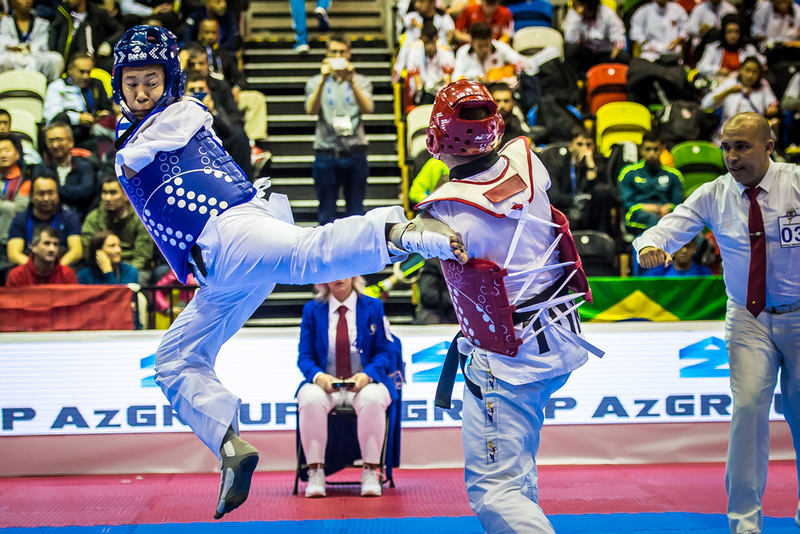 With 2018’s first tournament for ranking points in the books, we get our first look at how the divisions are shaping up just two and a half year’s before Para taekwondo makes its Parlympic debut. The US Open is a G-1 event, meaning division winners receive 10 ranking points for a gold medal, with lower ranking competitors receiving fewer points. Last year it was confirmed that K43 athletes will join their K44 counterparts in six ‘super division’ weight classes at the 2020 Paralympics. The top two ranked fighters in each weight class in both K44 and K43 will earn automatic qualification. Others will need to win a qualification tournament. Finland’s Matti Sairanen grabs the full 10 points with a gold medal victory in K44 over Brazil’s Nathan Torquato. The win sees him move up two spots to No. 14, well behind Mongolia’s top-ranked Bolor-Erdene Ganbat. With victories at the IWAS World Games and European Open, Russia’s young Daniil Sidorov has vaulted to No. 2 in K44. France’s No. 1-ranked Bopha Kong easily dispatched Canada’s No. 3-ranked Anthony Cappello in the K43 final. The win sees him distance himself further from Spain’s No. 2-ranked Alejandro Vidal Alvarez. Mexico’s Juan Diego Lopez Garcia continues to stake his claim as the K44 division’s top fighter in the Americas, following up his Pan American Open win last year with a victory in Las Vegas. The win sees him jump four places to No. 12. Iran’s Mehdi Pourrahnamaahmad has a comfortable 195 point lead at the top. Following his IWAS World Games and European Open titles, Ukraine’s former world champion Anton Shvets continues to lead Kazakhstan’s Nurlan Dombayev on the K43 side. The USA’s Evan Medell repeats as US Open champion in K44, a welcome relief after disappointing results at last year’s world championships and IWAS World Games. The America’s top fighter added Pan American and Oceania crowns last year, but will look to make a statement later this season against the two fighters ahead of him in the rankings – Croatia’s Ivan Mikulic and Iran’s Asghar Aziziaghdam. The USA’s Sophie Gimeno claims her first US Open title to enter the rankings in K44 at No. 20. Mongolia’s Enkhtuya Khurelbaatar is still the one to catch, while Turkey’s Meryem Betul Cavdar used her IWAS World Games and European Open victories late last year to vault to the top of a group trying to catch her. Ukraine’s iconic Vika Marchuk added a fifth world title in 2017 to lead the K43 group by a commanding 168.8 points. Mexico’s Jessica Garcia Quijano captures her first US Open crown to add to last year’s Pan American Open triumph to close the gap on Turkey’s No. 5-ranked Gamze Gurdal in the K44 division. Denmark’s four-time reigning world champion Lisa Gjessing continues to lead the group. There looks to be no stopping the UK’s Amy Truesdale, as she starts 2018 the same way she finished 2017 – on top. Undefeated last season, Truesdale captured the Asian and European Open championships to add to her world championship and IWAS World Games titles. France’s No. 3-ranked Laura Schiel edges closer to Morocco’s No. 2-ranked Rajae Akermach with a bronze in Las Vegas. Turkey’s Seyma Nur Emeksiz is the one to catch on the K43 side, having opened up a commanding 152-point lead based on her 2017 world championship. On the men’s side, Turkey’s Mehmet Serkan Serpici jumped to No. 1 in the u75kg K42 division after claiming the European Open title, while Russia’s Valerii Bazin jumped to the top of the u75kg K41 division after claiming the 2017 world championship. On the women’s side, Russia’s Zaira Irazieva upset Turkey’s No. 1-ranked Ayse Dudu Karatay in the 058kg K42 event at the European Open to close the gap between the two. The next opportunity for fighters to gain ranking points is at the African Open in Agadir, Morocco on 28 March.